Prince is a very sociable and friendly boy that walks nicely on a lead. We don't know why he is continually overlooked. 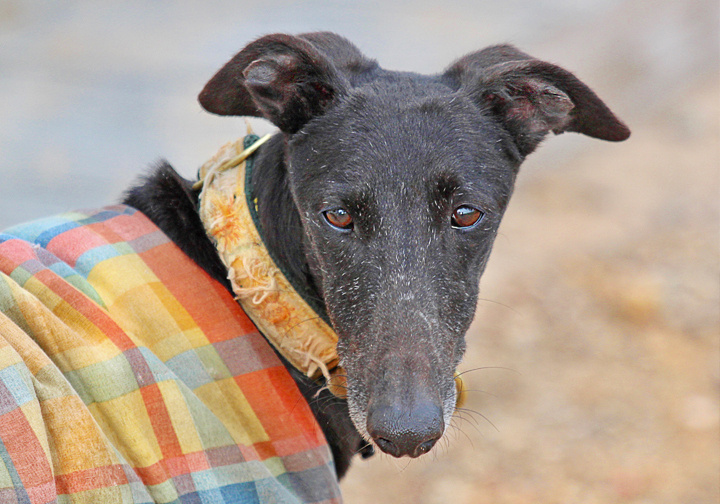 Prince is so quiet and small (smaller then average galgo) — hardly noticeable in the kennels. However, once he gets your attention with his crazy tail wagging and you stop to talk to him, you'll be rewarded with non-stop kisses and cuddles! 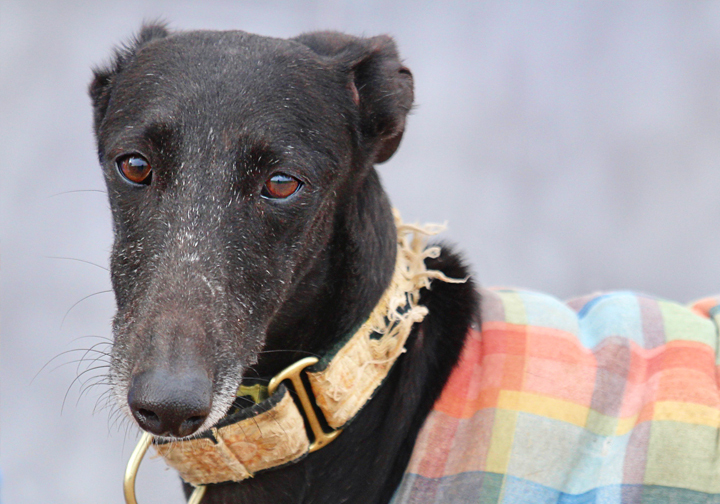 We really hope he won't be in kennels for years — many black dogs just get overlooked. They are all special, just like Prince. Yes, I am interested in sponsoring or adopting Prince!